Frees up valuable space in the fresh-food section for more storage of your favorite foods. 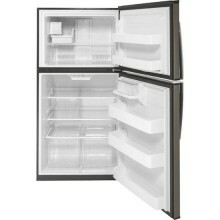 Fills tall bottles, stores and makes ice on the door, saving space. Find exactly what you've been looking for under crisp, clear lighting. Raised edges help contain spills and make clean up quick and easy. Allows party trays and larger items to fit easily and remain at the ideal temperature. Reduces trace pharmaceuticals from water and ice (removes 98% of ibuprofen, atenolol, fluoxetine, progesterone and trimethoprim. These pharmaceuticals are not necessarily in all users' water). Click the button below to add the GE - 25.6 Cu. 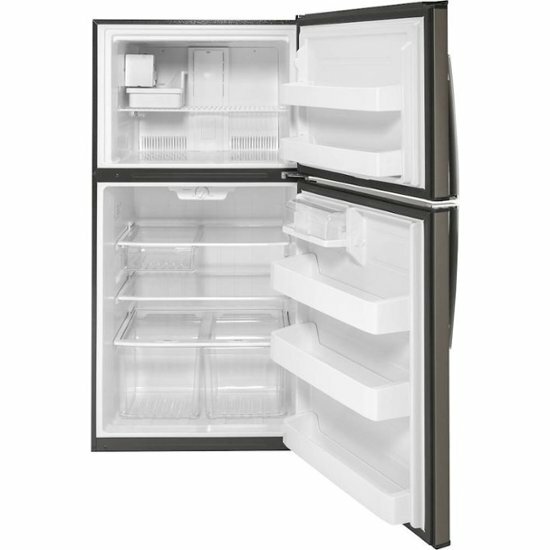 Ft. French Door Refrigerator - Black Slate to your wish list.